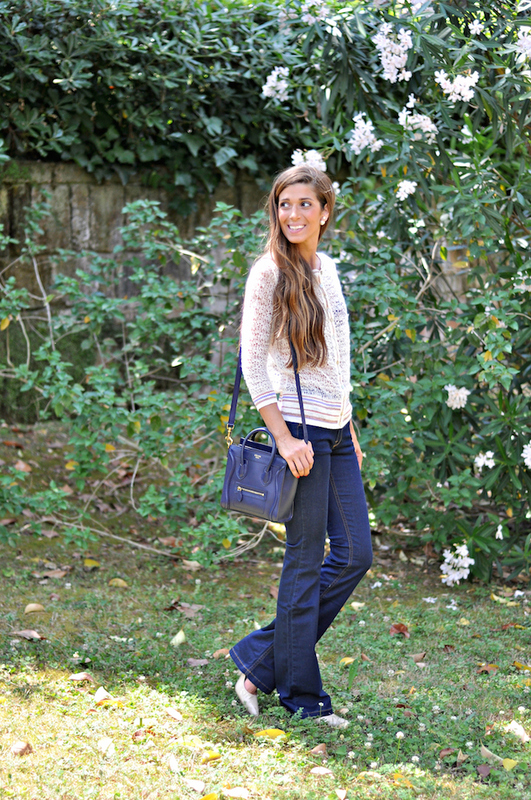 Flared Jeans Love | Cosa Mi Metto??? As I was a teen ager in the amazing '90, I've always been a fan of flared jeans. They're so cool, they makes your leg appear longer and plus they're comfortable as they're just jeans. 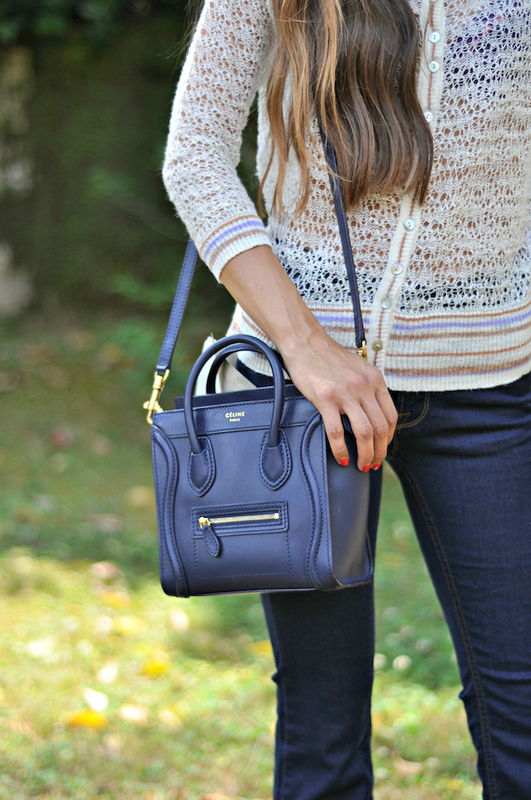 Paired it with a white perforated sweater and pointy heels. Poichè ero una teen ager nei fantastici anni '90, ho sempre avuto un debole per i pantaloni a zampa. Sono fantastici, fanno sembrare le gambe ancora più lunghe e in più sono comodissimi in quanto jeans. Li ho abbinati con un maglioncino bianco traforato e scarpe a punta. Looking great in this casual outfit! I like your jeans very much. Such a trendy pair of pants! Sempre più bella, questi pantaloni ti stanno benissimo! Jeans is fashion all the time. So classy and pretty! Love the bag! You look really tall with those pants. Cool! In love with those jeans! really great outfit! in love with it for summer! I love flares, too, and just found a pair of Seven's at the thrift shop! They have to be hemmed just right though.